In the sea around Sardinia, crystal clear waters offer a perfect summary of the wealth of Mediterranean flora and fauna. The red corals and gorgonians, the yellow hard corals and the violet sea anemones illuminate the vaults of the caves. The orange sponges, pink algae and green Neptune sea grass provide splashes of colour on the flat detrital areas. 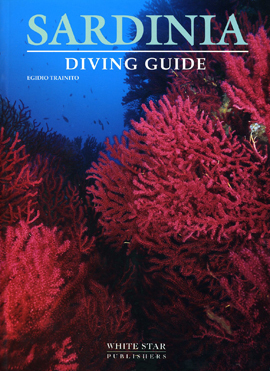 This guide will help you discover 30 fascinating diving sites with closely correlated maps, explanations, drawings and photographs. A guide to the plants, invertebrates and fish of Sardinia concludes the book, with 125 entries illustrated with drawings.